I had the codes read when my check engine light came on, the dealership said bad O2 sensor. So I changed them both. Within two days the light was back on and I took it to O'reillys and the same codes came up. I replaced both sensors again. This morning when I started the car it backfired out of the tail pipe and the light came on again. 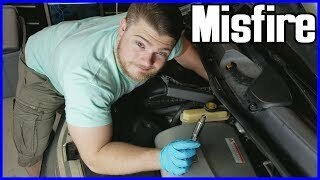 Could it be the catalytic converter that needs to be changed? What are the exact codes? Most O2 sensors get changed out when there is nothing wrong with them. 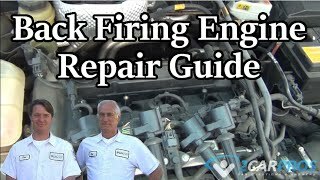 90% of the time the issue is wiring or a fault farther upstream like an exhaust leak that lets in air or a vacuum leak causing a lean mix. The ECM detects that the accumulated mass air flow monitored during the Stuck Lean Voltage Test is greater than 60 g.
90% of the time this is a wire from the sensor to the ECM shorted to voltage or the ground to the sensor is bad. With the sensor stuck lean the system will constantly try to add fuel. That will also cause the backfire as the constant added fuel will collect in the converter and the fumes collect and ignite at the first spark. Check for a large vacuum leak or low fuel pressure. This can be just about anything in the EVAP system, a smoke test should show where the leak is. This leak is about this size -- O Not something that you will see easily.